It's Friday!!! We all made it! I don't know about you, but I had to start Friday happy hour early (last night) to take the edge off. It's been quite a week, but I'm thrilled to kick off the weekend! Let's just jump right in! You know the drill! 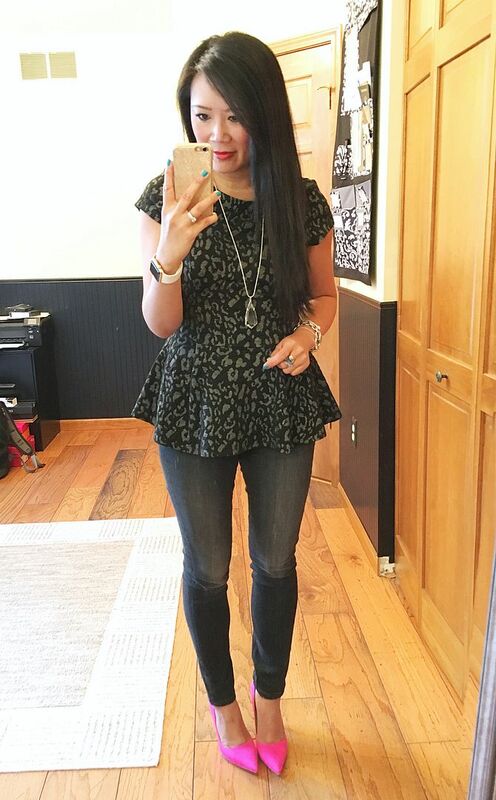 This peplum has appeared on the blog at least two times before. You can reminisce with me in these old posts here and super old here. It's still a favorite in my closet. This may be the first time I styled it with silver metallic and not gold! The pink heels add the perfect touch in my opinion! I posted a flat lay of this top right after I bought it. You can see the flat lay here. Usually I do flat lays of my recent purchases as a reminder to wear them, and to create a catalog of outfits in case I ever wake up uninspired. Somehow this top fell through the cracks though and I may or may not have forgotten I got it! It's a great top though, I was more than happy to take it out for its maiden voyage finally!! Everything in this outfit is at least 2-3 years old. This is one of my all time favorite dresses. You can see it elsewhere on the blog here and here. That was two and three years ago! I'm pretty sure the last time I wore it was 2 years ago because then it stopped fitting. The joy about losing weight is being able to pull out your old favorites that miraculously fit again! I tried to wear a denim jacket over this, but I didn't like the silhouette. The chambray blazer worked much better! 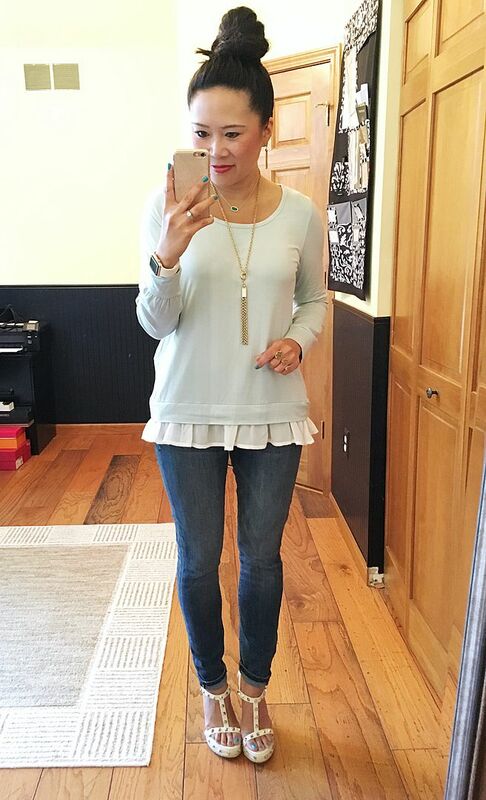 Since we appear to be going down memory lane today, you can see the other time this top has made its appearance on the blog here. Not going to lie, but this makes me a bit excited for this year's anniversary sale!!!! That's all I have for you this week! Hope you all have a fantastic weekend!! all so cute, I need to pull out my colorful pumps, haven't worn them in forever. In love with the peplum top and that white dress...so pretty! Have a great weekend! 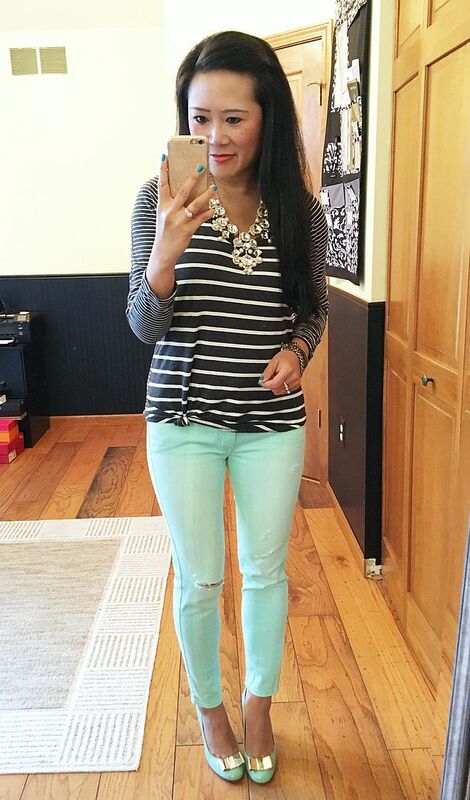 Absolutely LOVE the halogen tee with the white skinnies! The pop of purple with the necklace is perfection! Those pink Kate Spade heels! Love them! 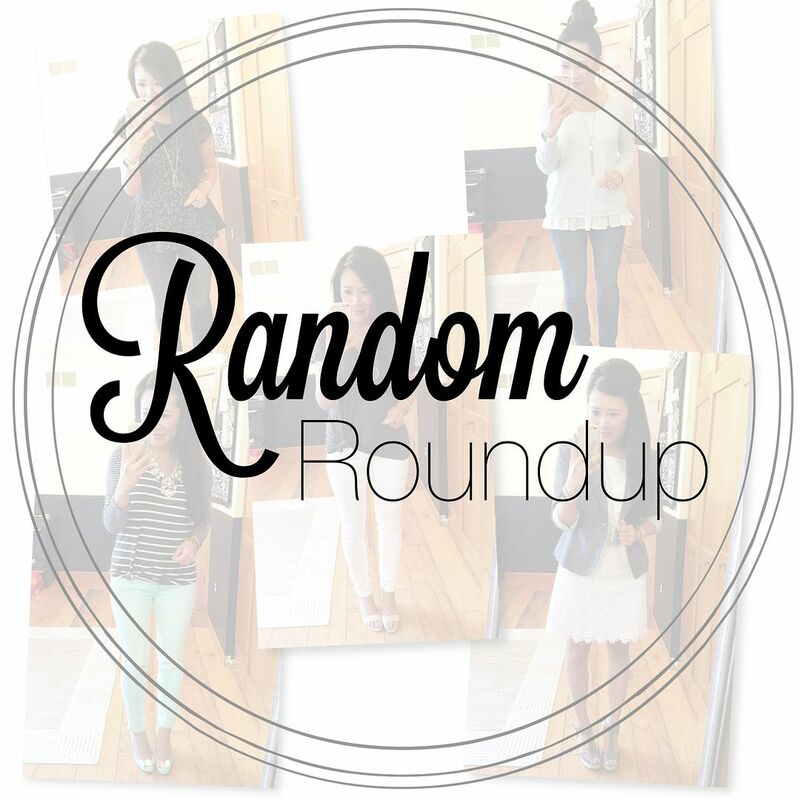 All great outfits, but I really love the gray peplum with the pink shoes! So cute! 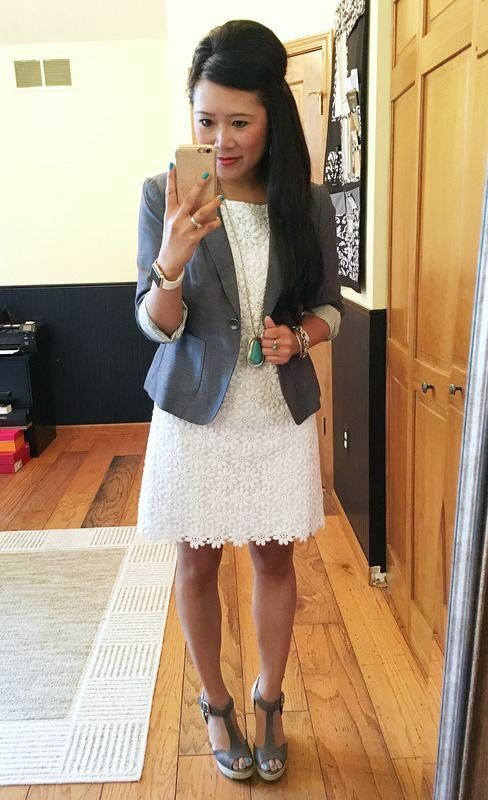 And the lace dress with the chambray blazer...um...perfection!